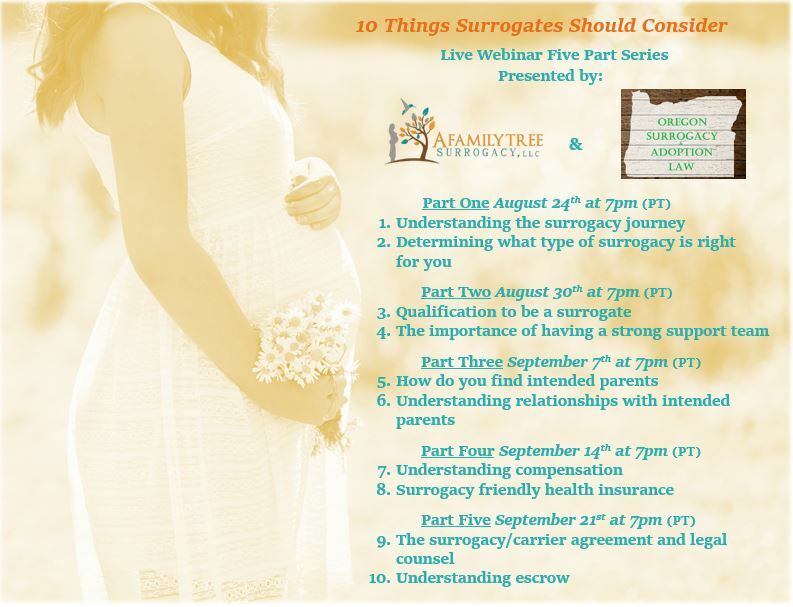 ﻿Join us for our Live 5 Part Webinar Series on 5 Things Every Intended Parent Should Consider When Working With Surrogates and Donors. 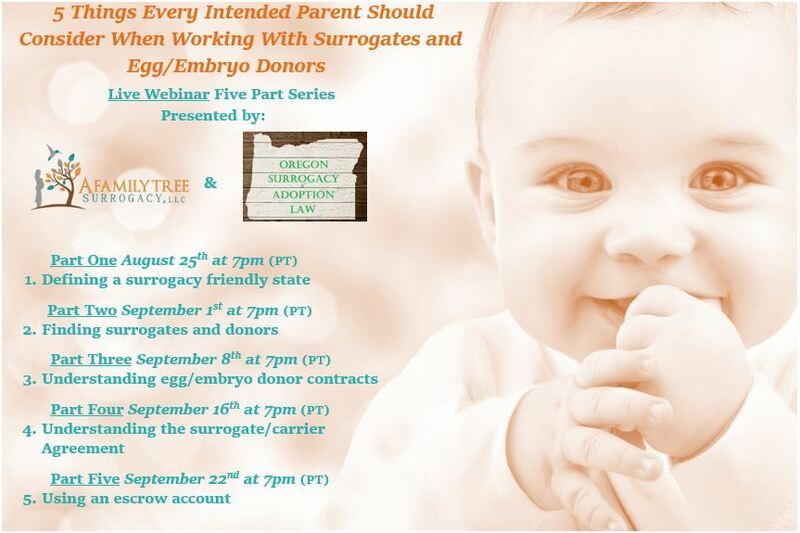 If you attend all 5 parts of the Series you will be eligible for our $500 discount on A Family Tree Surrogacy services. A Family Tree Surrogacy is committed to helping all families achieve their dreams and you can be a part of this amazing new program. Our breakthrough Give It Forward Program allows any intended parents who work with A Family Tree Surrogacy to grant the same amazing gift to another family. The family that you choose to give it forward will receive a special agency discount for their journey.